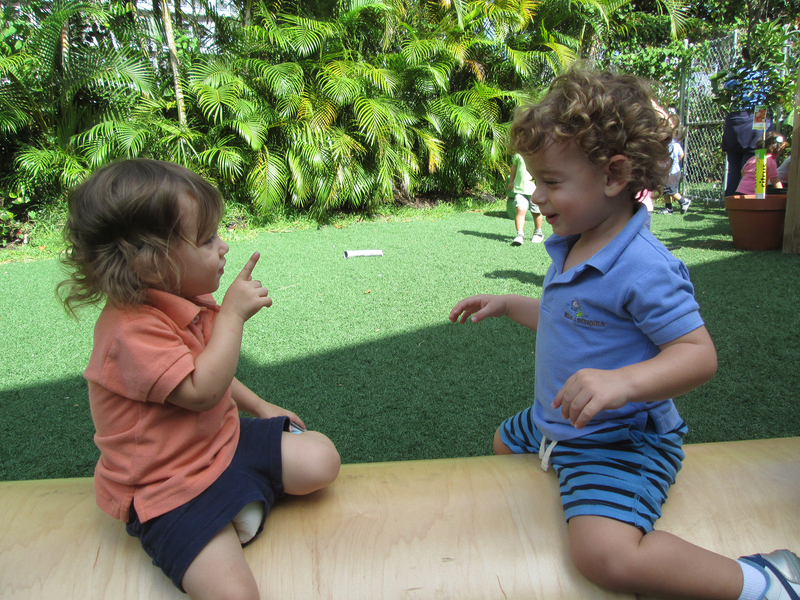 KLA Schools of North Miami Beach is a childhood center that offers high-quality Reggio Emilia inspired education. Our school is a home away from home where your child will develop cognitive, cultural, and body skills and build a strong foundation in early childhood education. Our philosophy is based on the Reggio Emilia Approach, which is a pedagogy that utilizes self-directed, experiential learning in relationship-driven environments. It inspires children to thrive by exploring their curiosity, learning through creative ways, and most of all, teaches how to use the knowledge in everyday life. We are a community-based state of the art facility designed with the Reggio Emilia Approach in mind, including a large Piazza with exploration area, a spacious Atelier, and two playground areas with different age-appropriate equipment. We also offer outdoor activities for the children to get in touch with nature. KLA Schools of North Miami Beach features the most functional and safe furniture available for early education, which includes specially crafted pieces hand-selected from a furnishing company in Reggio Emilia, Italy. At our school, teachers, parents, and the community work together towards the child’s development. We nourish quality communication and relationships. We welcome ideas for learning and share best practices so that we can provide a high-quality experience for the children. Nutrition is equally important to us and we offer healthful meals and snacks, served family-style. Teachers and staff eat with the children to encourage and demonstrate social eating. We use tablecloth and utensils because we value the children and we want them to feel at home. At KLA Schools of North Miami Beach, we take cleanness, safety, and having an inviting environment seriously as these motivate the children to explore, discover, and grow. We encourage you to schedule a tour or take a moment to watch our virtual tour to immerse yourself in our dynamic programs and to appreciate KLA Schools’ unique approach to nurturing your child. Physical Education, Spanish, Art, and Music are weekly courses included in the tuition to offer children opportunities to expand upon their interests during their daily experiences. * Spanish is incorporated in all classes throughout the day. Children in the class of the Four’s receive special instruction for reading, writing, and speaking the language. Slides, a stage theater, and houses for pretend play are all part of the outdoor spaces offered to children. A separate playground is available for the toddlers and infants, providing opportunities for safe and age-appropriate play. State-of-the-art integration of technology, arts, and science with creative expression. Along with physical well-being and social development, we ready children for lifelong success. 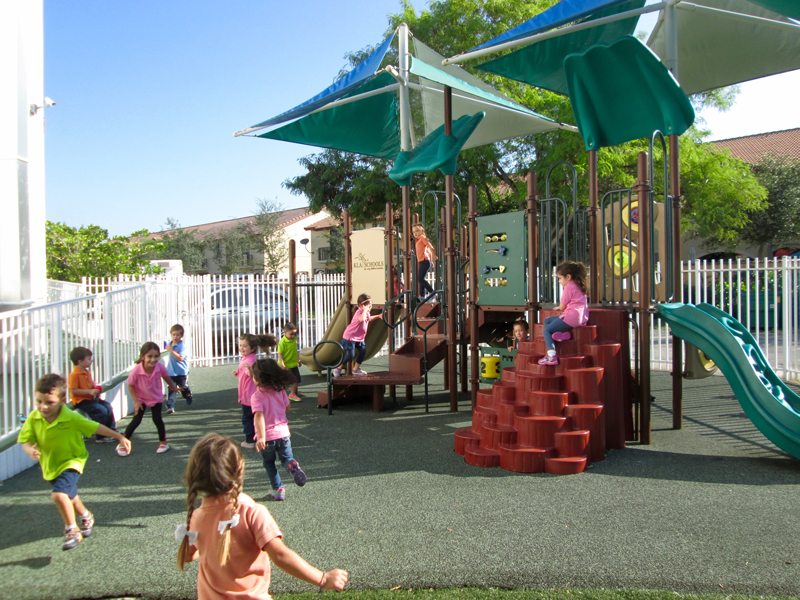 Located in beautiful North Miami Beach, children can explore their environment in the context of their own backyard. Local businesses and wildlife are part of our everyday lives. An Atelier connotes an artist’s workroom and at KLA Schools of North Miami Beach, it is a common space for the children that supports the use of different media while encouraging exchanges between the different materials, people, and ideas. The children and families of KLA Schools care for this intimate plot of ground where opportunities for growth, exploration, and a close look at nature are provided.